Canada will celebrate the 150th anniversary of its confederation in 2017. This Colorful artwork captures Canada's natural beauty as clever rhymes inform and entertain, giving the reader an armchair tour. 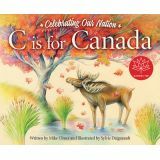 From the Aurora Borealis to Klondike Days to the majestic Peary Caribou, C is for Canada alphabetical tribute showcases the landscape, symbols, history, and culture of this great country. Grade 1–3. Hardcover. 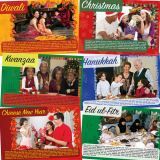 This book introduces children to six holidays from various cultures- from the reason why the holiday is celebrated to how it is observed. Paperback. Get stuck on discovery learning! Stickers feature realistic art and bright colors. Acid-free, non-toxic, and safe for use on photos. 1 design per pack; 100 stickers. What is the difference between First Nations and Aboriginal people? Look inside this book to find out! 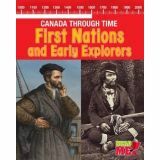 First Nations and Early Explorers introduces different groups of Canadian Aboriginal people from First Nations to the Métis. Then meet pre-confederation explorers from France and England, and even the Vikings! 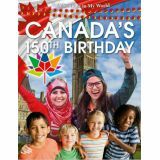 Books in the Canadian Timelines series teach readers the basics of Canadian history and culture, from how First Nations people arrived to immigration since the 1970s. 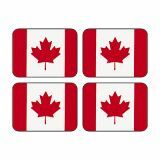 Floor Puzzle - Map of Canada 48 pieces, 36" x 24"
48 pieces, 36" x 24". Ages 3 years and up. 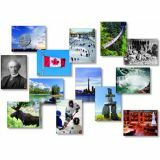 Provide students with an overview of historical Canada through photographs of familiar Canadian landmarks and symbols, as well as representations of important events, places, and people in Canadian history. The set includes 34 two-sided 6" x 8" (15.2 x 20.3 cm) photo cards (68 numbered photos) and a teacher guide identifying the subject of each photo. Chronicles the country's major waves of immigration, from welcoming early European arrivals to becoming a modern-day safe haven for refugees. 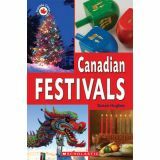 The book also acknowledges times when Canada has not been especially welcoming. 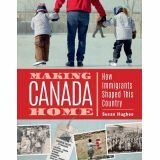 It explores how each period of immigration has shaped the laws, values, and face of Canada on the way to today's multicultural society. This book is a rich and thorough source of informational text, packed with primary sources including compelling personal accounts, historic documents, memorabilia, and archival photographs, as well as maps, sidebars, a timeline, and a glossary. Grades 3–7. Hardcover. 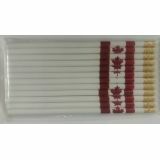 Pencils are white and feature red maple leaf and stripes. 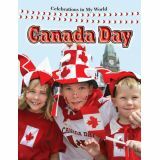 Great for Canada Day and Canada's 150th Day! 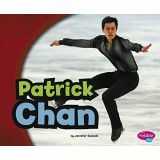 These simple, photo-illustrated biographies provide a perfect introduction to the lives of great Canadians. Each figure's childhood, education, and career are presented with easy-to-read text for emergent readers.